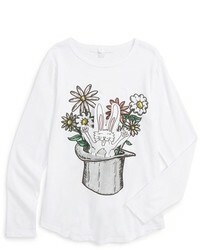 Suggest that your child dress in a Stella McCartney girls kids barley rabbit long sleeve graphic t shirt and navy star print leggings for a laid-back yet fashion-forward outfit. As far as footwear is concerned, suggest that your tot rock a pair of gold sneakers. 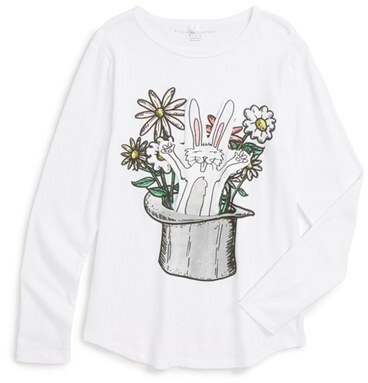 Consider dressing your kid in a Stella McCartney girls kids barley rabbit long sleeve graphic t shirt with a grey skirt for a trendy and easy going look. Yellow sandals are a good choice to complete this style.